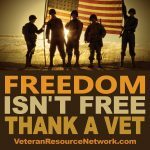 Help us help our veterans, social share. The 03XX Foundation is a peer mentor and support network serving Infantry Marine Veterans and their Navy Corpsman. We provide career transition services, emergency financial support and assistance, and benefits advocacy. We envision a world where every veteran we serve is gainfully employed, financially secure and receives the benefits they deserve. The purpose of the 13th coscom association is to represent the past, present and future members of the 13st sustainment command expeditionary (and all its designations) and provide support to its members. The association also serves as an adjunct to the command including in its ranks distinguished friends, retirees, former members and their families. The association performs services allowed to aid the unit and community and provide support to all as required and allowed in its constitution. Results: We have helped countless veterans who battle with daily struggles...through our all volunteer equine assisted therapy program. We are one of few organizations who takes our horses to the veterans completely free of charge, to be part of a PTSD program at the Dayton VAMC. We have also brought joy and comfort to veterans and visitors at the Community Living Center on the grounds of the Dayton VA. With the help of our horses, we have saved lives and have been given an amazing opportunity to help the men and women who have fought for this great country! 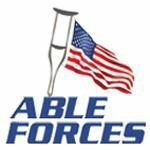 Able Forces currently supports contract in 7 states and provides employment and direct employment placement to our Wounded, Ill, and Injured veterans. Our employee's and the warriors we serve to support our employment needs in positions such as Subject Matter Experts, Intelligence Analysts, Program Managers, Quality Assurance Technicians, and Test Engineers. We are currently supporting 8 Federal contracts, 7 are DoD, with 4 being at the highest security level. Adopt a Soldier prides ourselves in being there when no one else will! From a ER room with a military mom whose sons just tried to take his own life, to the veteran who find his home in a cardboard box. We will never stop trying to grow our organization to be able to support our heroes with the support they require. To support airmen and enhance the air force mission by relieving emergency financial distress, helping airmen and their families achieve their educational goals, and improving their quality of life through proactive community programs. In 2014, the society provided over $16. 9 million in direct support to airmen. Programs: Education assistance - the General Henry Happ" Arnold education grant program provides needs-based educational grants to children and spouses of active duty, retired, and deceased airmen, helping them to realize their education goals. In 2014, the society awarded over $6. 0 million in grants to 2,714 students to help pay for college. In addition, the society awards merit-based scholarships for the highest-achieving incoming freshmen. Selection is based on a student's cumulative gpa, sat/act scores, transcripts, activities, and a written essay on a specific topic chosen by the society. In 2014, the society awarded 15 $5,000 scholarships, equating to an additional $75,000 in additional educational support to air force families. The Alaska VA Healthcare System (AVAHS) offers primary, specialty, and mental health outpatient care. Services are provided through a Joint Venture with the United States Air Force on nearby Elmendorf Air Force Base, as well as through purchased care arrangements with the community hospitals. 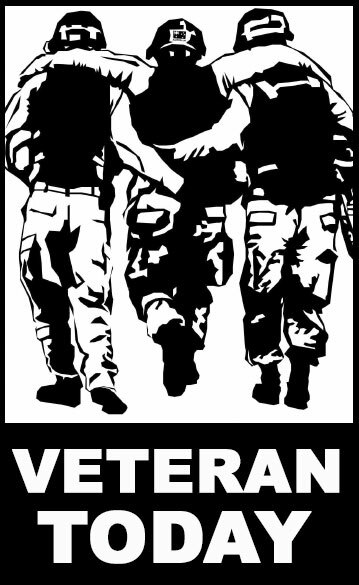 Alpha K9 is a Combat Disabled Veteran run Non-Profit organization dedicated to the principle of providing highly skilled and effective Service Dogs and Working Dogs to those whose lives depend on them. Decades of military service and real world experience has allowed the Alpha K9 team to witness firsthand the difficulties Veterans and those with Emotional Disabilities face. These experiences are the driving force behind the organization and the reason we adhere to the highest standards of training and ethics in the industry. 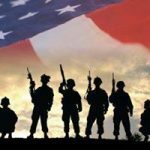 Alpha Omega Veteran Services provides social services and short- and long-term transitional housing programs to homeless veterans with the end goals of securing permanent housing, independent living and total societal re-integration. 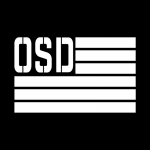 Our mission is to create the environment that will give Veterans a healthy self-sustaining future while becoming productive citizens in society. American War Memorials Overseas works to document, promote, and preserve non-government supported War Memorials honoring Americans outside of the USA to ensure these monuments remain part of local communities forever. War Memorials commemorate our shared past, and overseas war memorials honoring Americans are an important symbol of America’s international engagement.American War Memorials Overseas seeks to cooperate with other organizations, at international, national, and local levels, to better safeguard the future of War Memorials honoring Americans overseas in both their social and historical context.